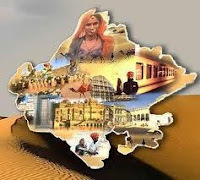 Rajasthan GK Question in Hindi Sample Paper 138: Rajasthan General Knowledge Sample Question Paper with Collection 10 Question of Rajasthan GK Questions for RAS, Rajasthan Police, REET, SI, Contable, Patwari and other state exams under GK Quiz in PDF @ Rajasthan GK Sample Papers. Rajasthan General Knowledge (GK) and General Studies (GS) Questions from various examinations of Rajasthan Govt. and central Govt Examinations. Q.2888 'छापरवाड़ा वृद्ध सिंचाई परियोजना' का सम्बन्ध किस ज़िले से है? Q.2890 'भारतीय संविधान' में निम्नलिखित में से किस पद का उल्लेख नहीं है?